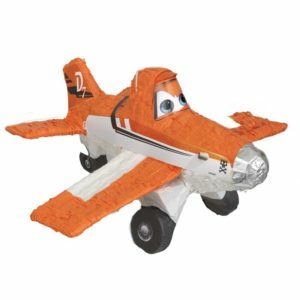 This planes 3D pull piñata makes a really fun addition to your celebration! No need to hit this piñata, just fill with your favourite sweets and treats and take it in turns to pull the strings to release the sweets. WARNING: Not suitable for children under 3 years. Small parts – choking hazard. 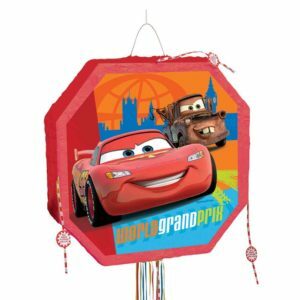 This cars the movie drum pull pop out piñata makes a really fun addition to your celebration! No need to hit this piñata, just fill with your favourite sweets and treats and take it in turns to pull the strings to release the sweets. WARNING: Not suitable for children under 3 years. Small parts – choking hazard. 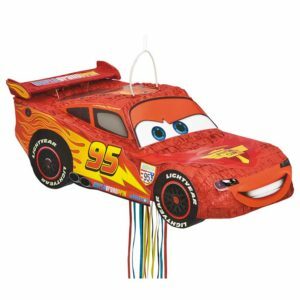 This cars the movie pull piñata makes a really fun addition to your celebration! No need to hit this piñata, just fill with your favourite sweets and treats and take it in turns to pull the strings to release the sweets. WARNING: Not suitable for children under 3 years. Small parts – choking hazard. 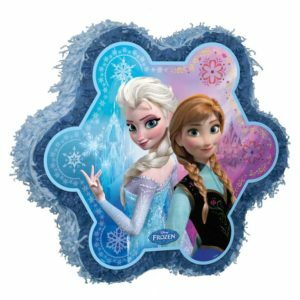 This disney frozen flat pull piñata makes a really fun addition to your celebration! No need to hit this piñata, just fill with your favourite sweets and treats and take it in turns to pull the strings to release the sweets. WARNING: Not suitable for children under 3 years. Small parts – choking hazard. 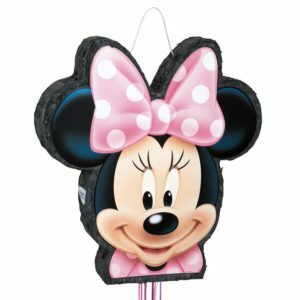 This minnie bowtique flat pull piñata makes a really fun addition to your celebration! No need to hit this piñata, just fill with your favourite sweets and treats and take it in turns to pull the strings to release the sweets. WARNING: Not suitable for children under 3 years. Small parts – choking hazard. 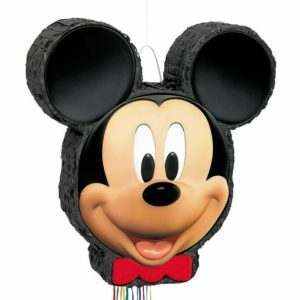 This mickey mouse clubhouse pull piñata makes a really fun addition to your celebration! No need to hit this piñata, just fill with your favourite sweets and treats and take it in turns to pull the strings to release the sweets. WARNING: Not suitable for children under 3 years. Small parts – choking hazard. 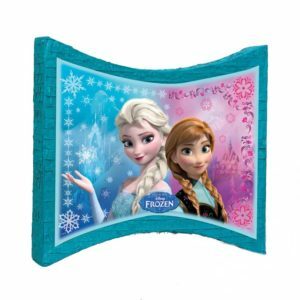 This disney frozen pull pop out piñata makes a really fun addition to your celebration! No need to hit this piñata, just fill with your favourite sweets and treats and take it in turns to pull the strings to release the sweets. WARNING: Not suitable for children under 3 years. Small parts – choking hazard. 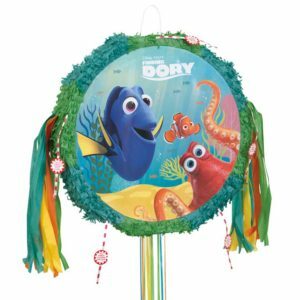 This finding dory pull-pop piñata makes a really fun addition to your celebration! No need to hit this piñata, just fill with your favourite sweets and treats and take it in turns to pull the strings to release the sweets. WARNING: Not suitable for children under 3 years. Small parts – choking hazard. 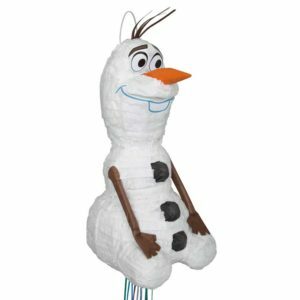 This olaf 3D small pull piñata makes a really fun addition to your celebration! No need to hit this piñata, just fill with your favourite sweets and treats and take it in turns to pull the strings to release the sweets. WARNING: Not suitable for children under 3 years. Small parts – choking hazard. 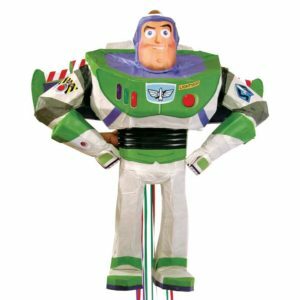 This buzz lightyear pull piñata makes a really fun addition to your celebration! No need to hit this piñata, just fill with your favourite sweets and treats and take it in turns to pull the strings to release the sweets. WARNING: Not suitable for children under 3 years. Small parts – choking hazard. 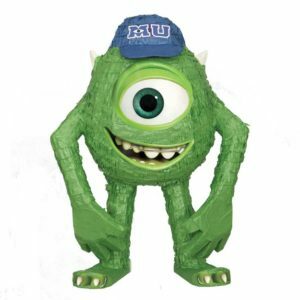 This monsters university 3D pull piñata makes a really fun addition to your celebration! No need to hit this piñata, just fill with your favourite sweets and treats and take it in turns to pull the strings to release the sweets. WARNING: Not suitable for children under 3 years. Small parts – choking hazard. 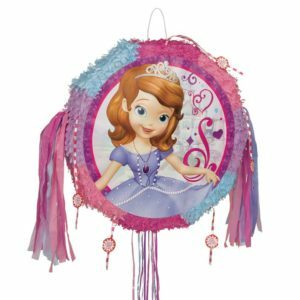 This disney sofia the first drum pull pop out piñata makes a really fun addition to your celebration! No need to hit this piñata, just fill with your favourite sweets and treats and take it in turns to pull the strings to release the sweets. WARNING: Not suitable for children under 3 years. Small parts – choking hazard.